My favorite holiday. 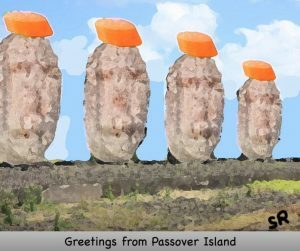 I’m on Passover Island aka Cary, NC again this year. Chag Samayach. May your Passover be crumb free.